Irritable Bowel Syndrome or IBS is a common condition that affects the digestive system. The symptoms vary from stomach cramps, bloating, constipation and diarrhoea. The severity of these symptoms will vary from person to person. A typical episode of IBS can last for just a few days. For others, these episodes can be prolonged-lasting up to a few months at a time. Experiencing bouts of IBS is often linked with times of stress, or from eating certain trigger foods. Sadly, Irritable Bowel Syndrome is a life-long condition, although symptoms have been known to improve over a number of years. What exactly causes IBS is still unknown, but most experts believe it is related to an increased sensitivity of the gut and a reduced ability in digesting food. 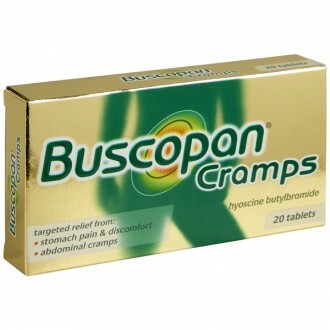 This can lead to a sufferer becoming more susceptible to stomach pain, resulting from either diarrhoea or constipation. This is due to the food passing through the digestive system either too quickly or too slowly. Psychological factors are also believed to contribute to IBS, for example; stress. IBS cannot be cured, however, there are a number lifestyle choices that will help to manage the condition effectively. These include; identifying and avoiding food/drink triggers, increasing the amount of fibre in your diet, regular exercise and avoiding stress where possible. Irritable Bowel Syndrome is not uncommon. The condition is estimated to affect up to one in five people at some point in their life. It typically develops between the ages of 20 and 30 and around twice as many women are affected as men. The symptoms of Irritable Bowel Syndrome are usually exacerbated by eating food. For most people, a flare-up will typically last a few days. After which, the symptoms will either improve dramatically or disappear altogether. In a lot of cases, IBS is usually triggered by recently consumed food or drink. In other cases, an episode can be brought upon by psychological factors, such as stress. Suffering from Irritable Bowel Syndrome can significantly impact a person’s day-to-day life, which in turn can have a psychological impact. This can easily result in many IBS sufferers experiencing associated feelings of depression or anxiety. If you believe you have IBS, it is important to go and see your GP for a diagnosis. Currently, there are no specific clinical tests that can identify IBS, as it does not cause any discernible abnormalities within the digestive system. In the majority of cases, a diagnosis will be based on the presenting symptoms. Your GP will usually consider assessing a patient for IBS If they have experienced abdominal pain/bloating or a change in their bowel habits for a period of six months or longer. Most cases of Irritable Bowel Syndrome can be diagnosed on the symptoms alone. However, occasionally additional tests may be required to check for other possible causes and underlying conditions. For example; a blood test may be required to rule out certain conditions that present with similar symptoms, such as coeliac disease. A stool sample may also be requested to test for calprotectin, which is a substance produced by the gut when inflamed. 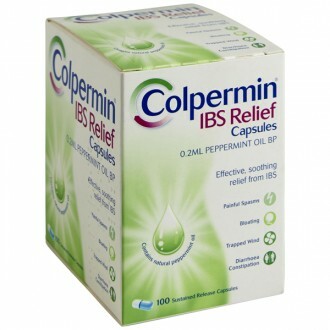 The presence of calprotectin may suggest Inflammatory Bowel Disease (IBD) instead of Irritable Bowel Syndrome (IBS). If you are over 60 years old or there is a family history of bowel or ovarian cancer, further testing may be recommended to rule out more serious conditions. In these cases, a colonoscopy will usually be performed to check for any abnormalities in the gut. 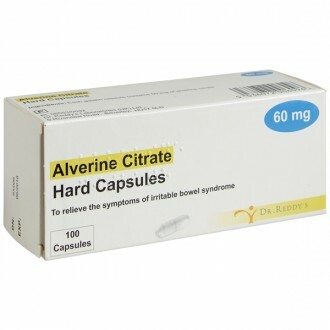 There are a variety of different treatments available to help treat Irritable Bowel Syndrome. These include; antispasmodics, laxatives, anti-motility medicines and low-dose antidepressants. Antispasmodics are medicines that work by relaxing the muscles in the digestive system. 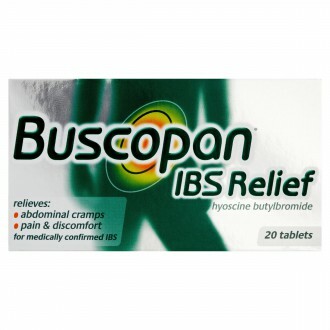 These medicines are the most commonly used IBS treatments and help to ease cramping and bloating. They are generally well tolerated with associated side-effects being quite rare. Examples of antispasmodics include; Mebeverine (Colofac), Alverine Citrate and therapeutic Peppermint Oil (Colpermin). Bulk-forming laxatives are generally recommended for patients who experience IBS-related constipation. They work by softening stools, which makes them easier to pass. Whilst taking bulk-forming laxatives it is important to drink plenty of fluid this will stop the laxative from creating a blockage in the digestive system. Possible side-effects can include; bloating and flatulence. However, if taken appropriately these side-effects are minimised. 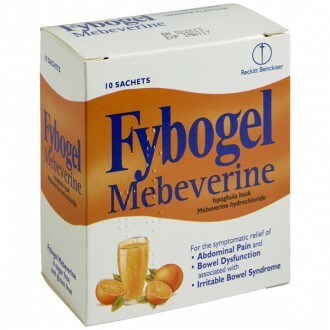 An example of a bulk-forming laxative is; Ispaghula Husk (Fybogel). Antimotility medicines work by reducing the contractions of the muscles in the bowel. This has the effect of slowing down the speed at which food passes through the digestive system. This process allows extra time for the passing stool to solidify. Associated side effects include stomach cramps, bloating, drowsiness, dizziness and rashes. An example of an antimotility medicine is; Loperamide (Imodium). There are two types of antidepressants used to help treat IBS. The first being; Tricyclic Antidepressants (TCAs) and the second; Selective Serotonin Reuptake Inhibitors (SSRIs). TCAs are generally recommended where antispasmodics have been found ineffective. TCAs work by interrupting the signals sent between the nerves and the digestive system. The body needs to first get used to TCAs before the effects are felt, which usually takes between 3-4 weeks. The most common side-effects associated with TCAs are; dry mouth, constipation, drowsiness and blurred vision. However, these side-effects usually improve after the first few days of starting treatment. An example of a TCA is amitriptyline. Alternatively, SSRI can be used to help treat Irritable Bowel Syndrome. The most common side-effects include; dizziness, diarrhoea and blurred vision. Examples of SSRIs include; Citalopram, Fluoxetine and Paroxetine. Irritable Bowel Syndrome sadly has no cure. However, the condition can be successfully managed through simple diet and lifestyle changes, as well as a better understanding of the condition and its triggers. An IBS friendly diet could be the most important factor in controlling Irritable Bowel Syndrome. A tailored diet can be produced by keeping a food diary. These diaries will then help discern what foods make the symptoms better or worse and which foods act as triggers. An individual food diary is recommended as sadly there is no universal diet that works for everyone. A food that exacerbates the symptoms in one individual may have no effect in another. Reducing stress levels can help reduce both the severity and frequency of sufferers IBS flare-ups. Some useful stress relieving techniques include; meditation and breathing exercises, regular exercise (walking/running/swimming) and physical activities, such as Yoga or Pilates. It is recommended to aim to achieve a minimum of 150 minutes of moderate-intensity aerobic activity every week. The exertion should be strenuous enough to increase your breathing and heart rates. Psychotherapy; which involves discussing your worries with a trained therapist. Cognitive Behavioural Therapy (CBT); which examines how a person’s beliefs are linked to their behaviour. This type of therapy is designed to alter someone’s way of thinking in order to change how they view and cope with their situation. Hypnotherapy; where hypnosis is used to change the unconscious mind’s attitudes towards the condition. Roughly 20% of people will suffer from IBS. It most often first appears during a person’s 20s. Most people with IBS will experience episodes throughout their life, though for some it will gradually improve over many years. IBS is twice as common among women as it is for men. IBS is thought to occur due to an abnormal sensitivity within the digestive system. The specific cause, however, is unknown. This sensitivity can lead to a number of varying symptoms. In some cases, food is digested too slowly, leading to constipation. Conversely, for some people food passes through the digestive tract too quickly, leading to diarrhoea. In either case, people with IBS are more susceptible to pain associated with the digestive process. 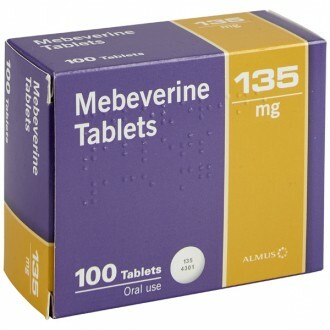 Antispasmodics like Mebeverine help to ease the symptoms of IBS by relaxing the muscles involved in digestion. 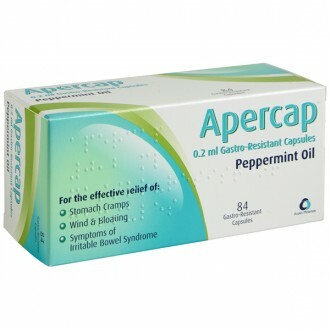 It is also available in peppermint oil capsules such as Colpermin – do not take these if the capsules are broken, as peppermint oil can irritate the tissues of the mouth. Antispasmodics tend to have few serious side effects, though peppermint oil can sometimes cause heartburn or skin irritation. Why is IBS treated with laxatives? If your IBS is causing constipation, you will likely be advised to take laxatives. These soften the stool, making it easier for the body to pass. Remember to regularly drink water while on laxatives, to prevent the medicines from obstructing the digestive tract. Some people experience bloating and wind as a side effect of laxatives. You can reduce your likelihood of developing these side effects if you begin on a very low dose and increase it every few days. Once you have one or two normal soft stools every one or two days, stop increasing your dosage. Importantly, you should not take laxatives immediately before going to sleep. IBS is giving me diarrhoea – what are my options for treatment? If IBS is causing you to have diarrhoea, you will likely be advised to take antimotility medicines such as loperamide. Antimotility drugs reduce how quickly food is passed by slowing down the action of digestive muscles. This allows for waste to solidify to a normal consistency. Loperamide’s side effects include bloating, stomach cramps, fatigue, dizziness and skin irritation. How do antidepressants help to treat IBS? A tricyclic antidepressant such as amitriptyline might be prescribed for IBS if the antispasmodic medication has been ineffective. TCAs reduce the activity of the nerves within the digestive tract, which helps to ease the feeling of pain and cramping. It takes three to four weeks for the body to adjust to a tricyclic antidepressant, so the medication will only take effect after this period of time. TCAs can lead to constipation, blurred vision, dry mouth and fatigue, though these tend to improve after the first few days of treatment. If these side effects persist, contact your GP to see if an alternative is available. One such alternative is a selective serotonin reuptake inhibitor (SSRI), such as fluoxetine, citalopram or paroxetine. These have similar common side effects to TCAs. The doses of antidepressants used to treat IBS are much lower than the recommended dose for depression itself. So, you should not infer that you have a psychological disorder if you are prescribed TCAs or SSRIs for IBS. At what point should I see my GP? You should consult a GP if you have IBS symptoms coupled with sudden unintentional weight loss, rectal bleeding, or a family history of cancer of the bowel or ovary. You should also talk to your GP if you are over 60 and notice a change in your digestive patterns and stool which lasts for more than six weeks. Your GP may refer you to a specialist for some additional tests to check for other conditions. What kinds of tests will my GP recommend? You will likely be given additional tests only if your symptoms are abnormal or especially severe. Because some IBS symptoms are also associated with more serious conditions, your GP may refer you to a specialist for certain tests if they see cause for concern, such as if you are suffering from a combination of diarrhoea and constipation. This may vary depending on your age, health and symptoms. If you are over the age of 50 and have not yet been screened for colon polyps and cancer, you will likely be given a colon exam. You may also be advised to undergo a colon exam if you are younger but exhibit possible indications of inflammatory bowel disease or other more serious conditions. If you are suffering from persistent diarrhoea, your colon exam will include a biopsy, whereby samples of tissue are removed from the body and examined. This will allow the doctor to diagnose an inflamed colon or microscopic colitis, which have similar symptoms to IBS but are treated differently. Another condition that causes similar symptoms to IBS is coeliac disease. This is a genetic disorder that causes an intolerance to gluten, the type of proteins found in wheat and other grains. The small intestine does not properly absorb nutrients, leading to digestive problems. Coeliac disease is diagnosed with a blood test and then confirmed with a biopsy of the small intestine. Lactose intolerance can also cause symptoms similar to IBS. This can be diagnosed with a lactose breath test. Each of these diagnoses can exist alongside IBS, so the doctor will decide whether to treat both or to give the other condition priority in treatment over IBS. Can IBS lead to more serious medical conditions? IBS is not linked to any further complications. So, once you are diagnosed with IBS, you will not be required to have extra preventive checkups. What can I do to ease my IBS symptoms? Consider limiting your alcohol and caffeine intake if you are suffering from IBS symptoms. You should consume no more than two alcoholic units per day, and give yourself two or more days each week without alcohol. It may help your symptoms to eat slightly smaller meals, but do not remove any of your daily meals from your diet. Have three normal meals each day, and do not eat late at night. Mild exercise can help keep the digestive muscles healthy, which will regulate their contractions. This is particularly important if you are suffering from constipation. If you are suffering from diarrhoea, ensure you replace your fluids by regularly drinking water. There are some small changes that can help with certain IBS symptoms. For example, if you are suffering from bloating, you might reduce your consumption of gas-producing foods such as beans and other pulses. It may also be helpful to limit your intake of dairy or gluten if you think your symptoms may be due to an intolerance. The most important aspect of your diet with regard to digestion is your soluble fibre intake. Soluble fibre softens buildups in the colon and makes it easier for digestive muscles to contract. Also, since it is soluble, it absorbs excess water in the digestive tract, solidifying liquid waste. So, it normalises the activity of the digestive tract, which is important for both diarrhoea and constipation. You can increase your intake with foods high in soluble fibre or with supplements. Helpful foods include linseeds, white rice, oats, dry corn or rice cereals, pasta, and peeled vegetables. Continue drinking plenty of water to allow your soluble fibre intake to be fully effective. Foods with high-fat content have the opposite impact of fibre on digestion, so consider restricting your intake of fatty foods. Artificial sweeteners can cause a number of digestive side effects, including IBS. Popular sweeteners include aspartame, saccharine, sorbitol, xylitol and sucralose. Consider removing these from your diet. However, it is important not to make any substantial changes to your diet without first consulting your GP or a dietician. They can assist you in identifying which foods might be affecting your symptoms. Food allergies do not cause IBS. If you think you have digestive problems due to an allergy, consult your GP – they may refer you to a specialist. How long do IBS episodes persist? Most people will suffer from IBS symptoms for just a few days at a time. However, in some cases, the symptoms will not completely disappear. Are bloody stools a normal symptom of IBS? IBS is a functional disorder – this means that digestion does not occur properly, but no disease is present. As a result, IBS will not cause any structural damage such as bleeding, inflammation or cancer. Bloody stool may be a symptom of other inflammatory bowel diseases like ulcerative colitis.